2017 FALL NEWSLETTER - Fanning Harper Martinson Brandt & Kutchin, P.C. - Fanning Harper Martinson Brandt & Kutchin, P.C. Fanning Harper Martinson Brandt & Kutchin, P.C. is pleased to provide you with our Fall 2017 Newsletter and Legal Update. Below you will find information regarding successes and activities of our attorneys. Please click the hyperlinks for updates regarding Local Government, Constitutional and Civil Rights Law, Products Liability, School Law, Employment Law, Automobile and Trucking Litigation, Premises Liability, Land Use, Zoning, and Regulatory Taking, Insurance Law, Special Education, and Construction Law. THOMAS P. BRANDT, JOHN F. ROEHM, III and JOHN HUSTED won a favorable decision from the United States Court of Appeals for the Fifth Circuit in a case involving the shooting of a homeowner by police during the execution of a search warrant. FHMBK defended a north Texas city and its police officers. The homeowner initially asserted state claims but amended to assert federal claims and the case was removed to federal court. FHMBK filed motions to dismiss the homeowner’s claims which were granted by the district court. The homeowner appealed. The Fifth Circuit Court of Appeals agreed with our position and affirmed the district court’s dismissal decision. MARC FANNING recently won a favorable decision from the Fort Worth Court of Appeals affirming a lower court’s ruling granting our Motion for Summary Judgment in a slip and fall case for DFW Airport. Appellate Partner, JENNIFER KELLEY, prepared the Appellee’s Brief in response to the Plaintiff’s appeal attempting to overturn the court’s ruling and the Appellate Court agreed with our position and the decision was affirmed. FRANK VALENZUELA and NICHOLE M. PLAGENS won a jury verdict in favor of the defendant in a Fair Labor Standards Act case tried in the U.S. District Court for the Western District of Texas, Waco Division. The plaintiff argued that he was entitled to overtime compensation because he had been misclassified as an outside salesman, and, therefore, the outside salesman exemption to the general overtime laws did not apply. Frank and Nichole presented oral testimony and written evidence demonstrating that the plaintiff was an outside salesman and had not been misclassified. The jury returned its verdict in favor of the defendant after deliberating for about three-and-a-half hours. THOMAS P. BRANDT and JOHN HUSTED successfully defended two Assistant District Attorneys from a prisoner’s civil rights lawsuit alleging deprivations of his constitutional rights with regard to the legality of his confinement. FHMBK filed a motion to dismiss on behalf of the Assistant District Attorneys arguing that the plaintiff failed to state a claim upon which relief may be granted. The court agreed and dismissed the case with prejudice. THOMAS P. BRANDT and JOHN HUSTED successfully defended a north Texas city and one of its code enforcement officers against a lawsuit brought by a resident upset for being cited for accumulating junk on his property. The resident alleged various state and federal claims, and FHMBK filed a motion to dismiss all claims. The court granted the motion, but allowed the plaintiff the opportunity to file a new complaint clarifying his causes of action. When the plaintiff filed various challenges to the court’s action in lieu of abiding by the court order to replead, FHMBK filed a motion to dismiss with prejudice, which the court granted. FHMBK is once again proud to have four of its attorneys named to 2017 list of Texas Super Lawyers. This is the ninth consecutive Super Lawyer selection for both DON MARTINSON and JOSHUA T. KUTCHIN. This is the seventh selection for THOMAS P. BRANDT and GEORGE L. LANKFORD. DON D. MARTINSON and GEORGE L. LANKFORD also received the honor of being selected by their peers for inclusion in the 24th Edition of Best Lawyers in America for Insurance Law. Congratulations to Thomas P. Brandt as he celebrates 25 years of practice with Fanning Harper Martinson Brandt and Kutchin, P.C. 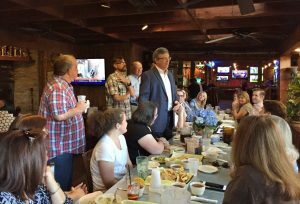 Above, Tom Brandt addresses family, friends, and co-workers during a celebration of his 25 years with FHMBK. 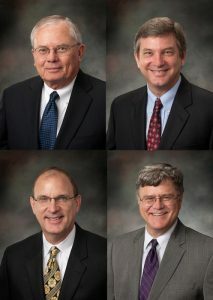 Tom Brandt joined FHMBK in 1992 after practicing for seven years in the City Attorney’s office with the City of Dallas. Tom received his undergraduate studies from the University of Texas at Austin receiving a B.A. in Plan II, with honors. Tom received his master’s degree in Public Affairs from the University of Texas at Austin’s Lyndon B. Johnson School of Public Affairs. He also attended the Victoria University of Wellington, New Zealand as a Rotary Foundation Scholar (L.L.M. level studies in international and comparative law). Named an “Impact Player of the Year” by Texas Lawyer for his en banc victory in Morgan v. Swanson, 659 F.3d 359 (5th Cir. 2011) (the “Candy Cane Case”), Tom Brandt has consistently been recognized as one of Texas’ top litigation attorneys. Tom has earned the distinction of being rated as AV Preeminent – the highest rating awarded by Martindale Hubbell. Tom has also frequently been listed by Texas Monthly Magazine on their Texas Super Lawyers list. Tom leads the Local Government and Employment Law Section at Fanning Harper Martinson Brandt & Kutchin, P.C. His practice includes representation of public entities, public officials, and private sector clients in a wide variety of cases. Our firm is proud to have Tom as a senior partner and we congratulate him on his 25th anniversary of practice with our firm. 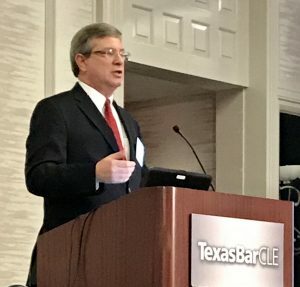 Above, Tom Brandt presents at the 29th Annual Advanced Government Law Course in Austin. THOMAS P. BRANDT and FRANK VALENZUELA both presented at this year’s State Bar of Texas’ Advanced Government Law Course held in Austin, Texas. On July 27, 2017, Mr. Brandt spoke on the topic of Individual Immunity. On July 28, 2017, Mr. Valenzuela spoke about the Texas Whistleblower Act. Several FHMBK attorneys presented at the 2017 Texas Charter School Conference held in October 11-13 in Grapevine, Texas. LAURA O’LEARY and STEPHEN HENNINGER presented on October 11 on the topic of Prevailing in Civil Rights Litigation. On October 13, JOHN F. ROEHM, III and THOMAS P. BRANDT spoke to conference attendees on The Basics of Individual Immunity. Also on October 13, FRANK VALENZUELA and JOHN HUSTED presented an Introduction to the Texas Whistleblower Act for Texas. On November 15, 2017, FRANK VALENZUELA and NICHOLE M. PLAGENS will be presenting at the National Business Institute Advance Employment Law Seminar. They will be speaking on Recent Developments in State and Federal Employment Law as well as Responding to EEOC and State Agency Changes. For more information or to register, click here. 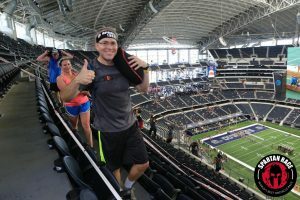 On June 10, 2017, FRANK VALENZUELA competed in the Spartan Race AT&T Stadium Sprint, completing his second Spartan Race of 2017. The race covered more than 4 miles on, under, above, and outside of the Dallas Cowboys’ home field. Frank plans to compete in at least one more race this year. On June 10, 2017, NICHOLE M. PLAGENS participated in the Dallas Bar Association’s Trial Skills Boot Camp and was awarded Best Speaker for her Opening Statement. The Trial Skills Boot Camp is an annual CLE put on by the Dallas Young Lawyers Association. Ms. Plagens is serving as a committee member for the 2018 event, and this years Boot Camp will be held on the topic of Voir Dire. 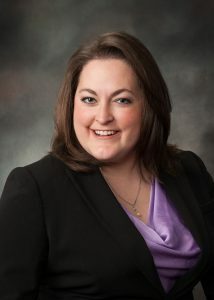 Nichole has once again been asked to coach two mock trial teams for the SMU Dedman School of Law. This year’s competition is the ABA Labor & Employment National Mock Trial Competition. The problem deals with the topic of religious discrimination in the workplace and unlawful termination. The teams will compete in the Dallas Regional round on October 28-29, 2017. The National competition is being held in Washington D.C. and will take place in January 2018.